December Variations (on a theme by Earle Brown) from Richard Hoadley on Vimeo. 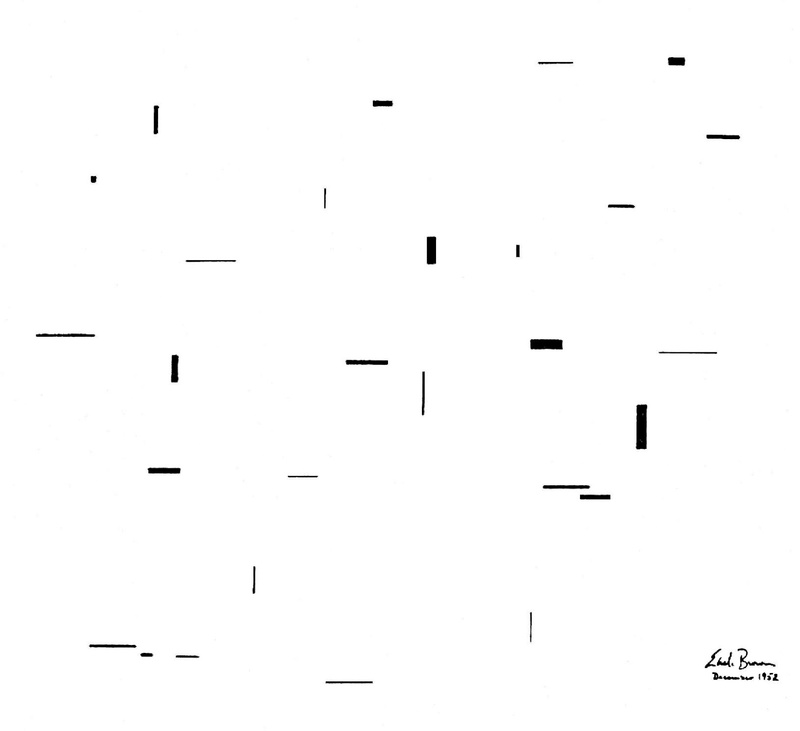 December Variations are automatically generated and notated variations for piano on the score December 1952 by Earle Brown. "In my notebooks at this time I have a sketch for a physical object, a three-dimensional box in which there would be motorized elements - horizontal and vertical, as the elements in December are on the paper. But the original conception was that it would be a box which would sit on top of the piano and these things would be motorized, in different gearings and different speeds, and so forth, so that the vertical and horizontal elements would actually physically be moving in front of the pianist. The pianist was to look wherever he chose and to see these elements as they approached each other,crossed in front of and behind each other,and obscured each other. 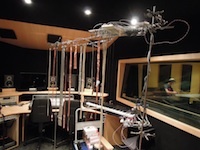 I had a real idea that there would be a possibility of the performer playing very spontaneously, but still very closely connected to the physical movement of these objects in this three-dimensional motorized box. This again was somewhat an influence from Calder: some of Calder's earliest mobiles were motorized and I was quite influenced by that and hoped that I could construct a motorized box of elements that also would continually change their relationships for the sake of the performer and his various readings of this mechanical mobile. I never did realize this idea, not being able to get motors and not really being all that interested in constructing it." This project is an investigation into these ideas, differentiated by the idea of automatically generated notation. 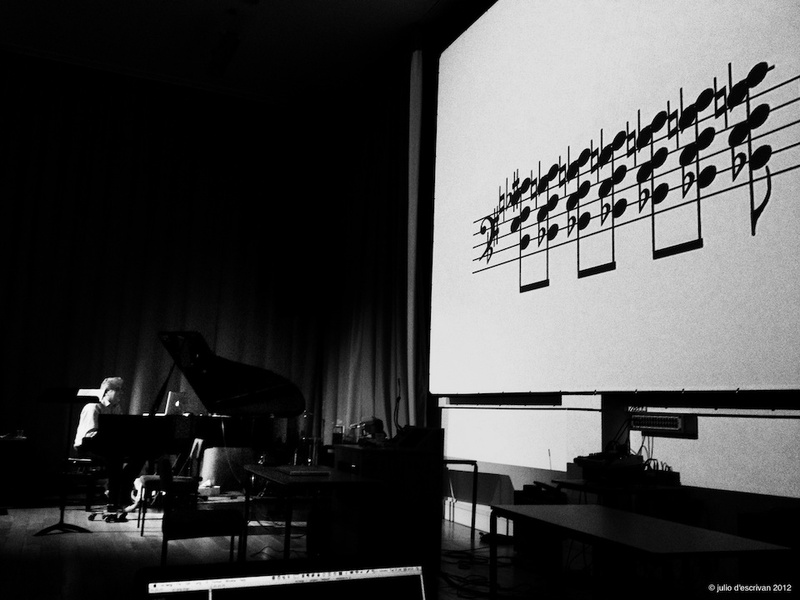 Some of the issues arising from the technique include the role of interpretation as opposed to sight-reading, legibility, possible interactions and the role of the graphic score itself, in both practical and theoretical terms, in this new environment. 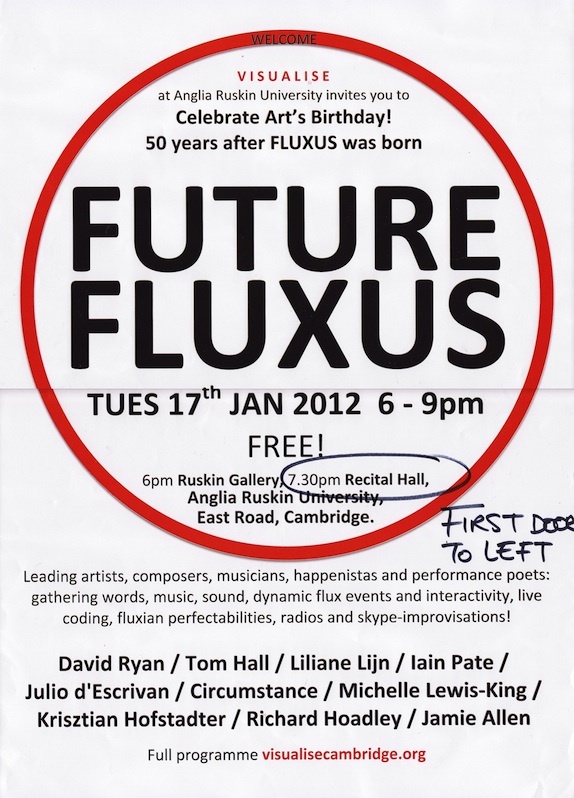 This project is related to the automatic, algorithmic and live notation compositions Quantum Canticorum, Three Streams, The Fluxus Tree, Fluxus and Calder's Violin. 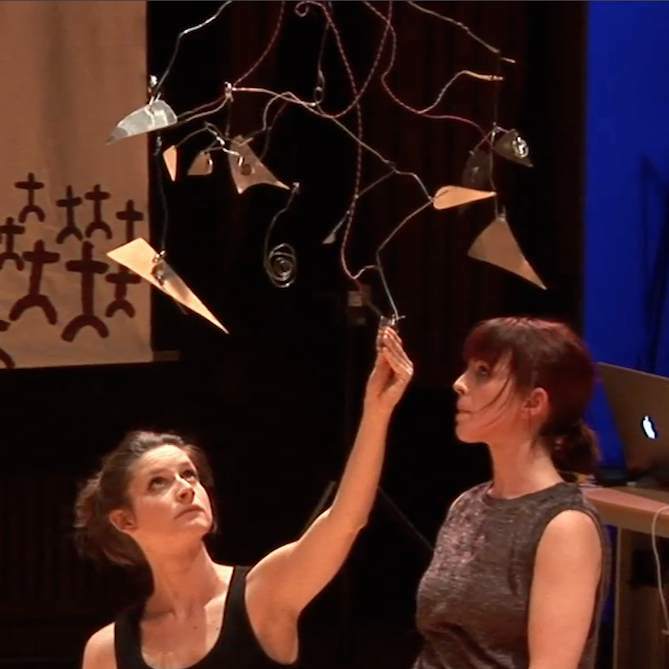 Quantum� Canticorum from Richard Hoadley on Vimeo.